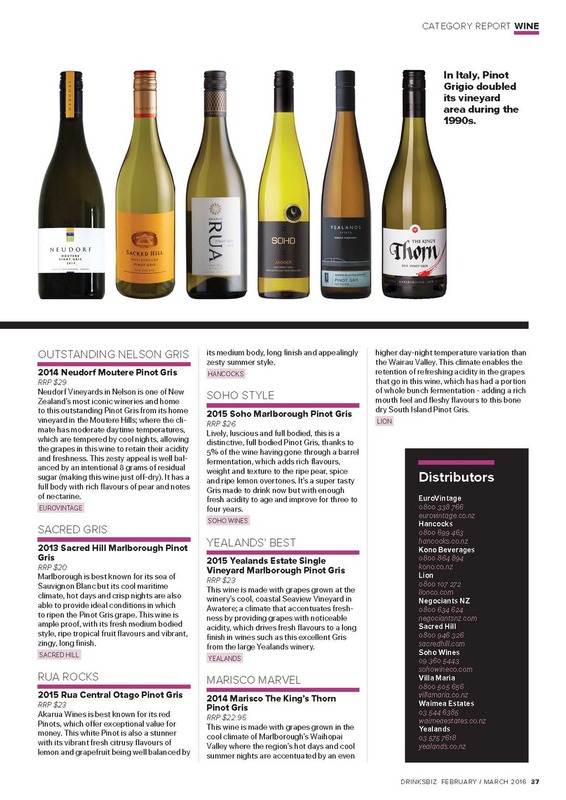 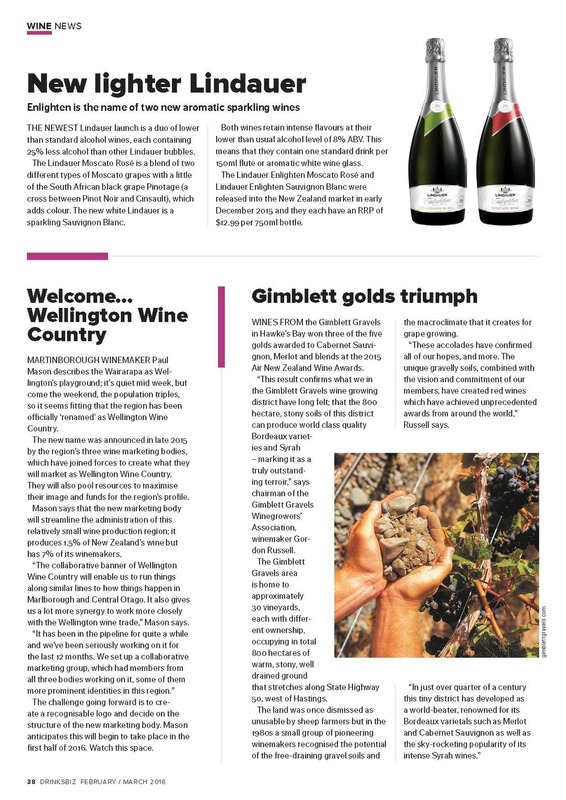 Top tips on Pinot Gris to stock this season; wines selected by Editor Joelle Thomson. 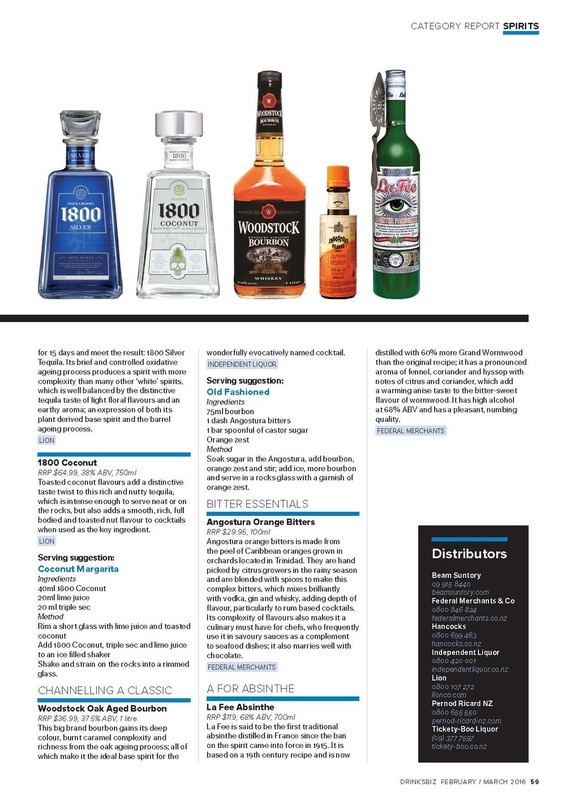 Our latest category report highlights a fascinating range of liqueurs and spirits that every self respecting mixologist must have behind their bar – and every good liquor store too. 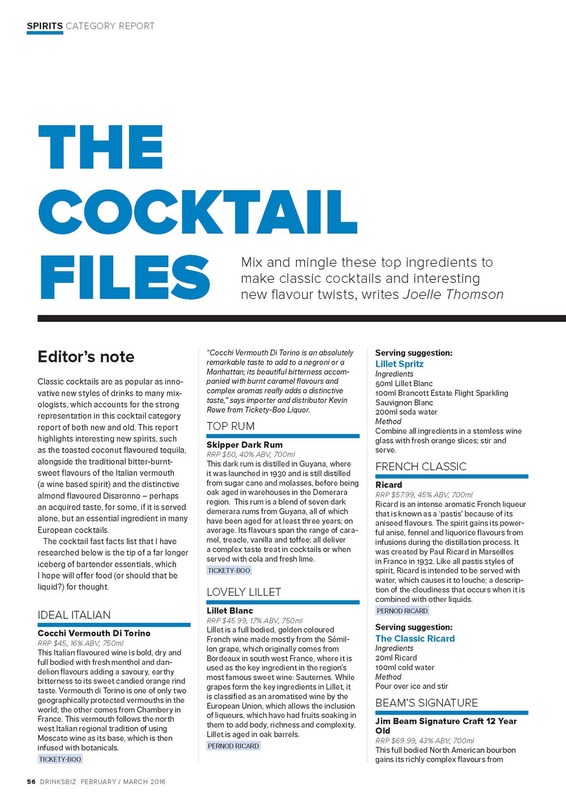 Read more - and tricks and tips on great cocktails too in our new spirits category report. 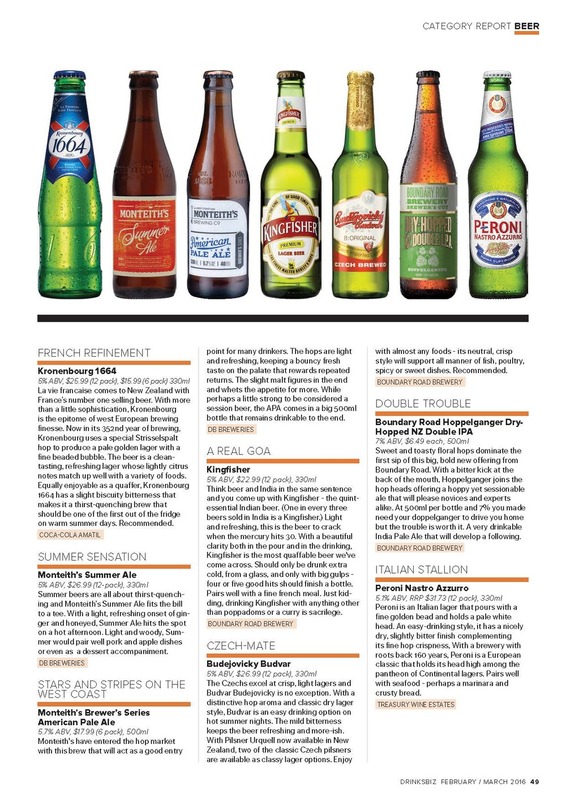 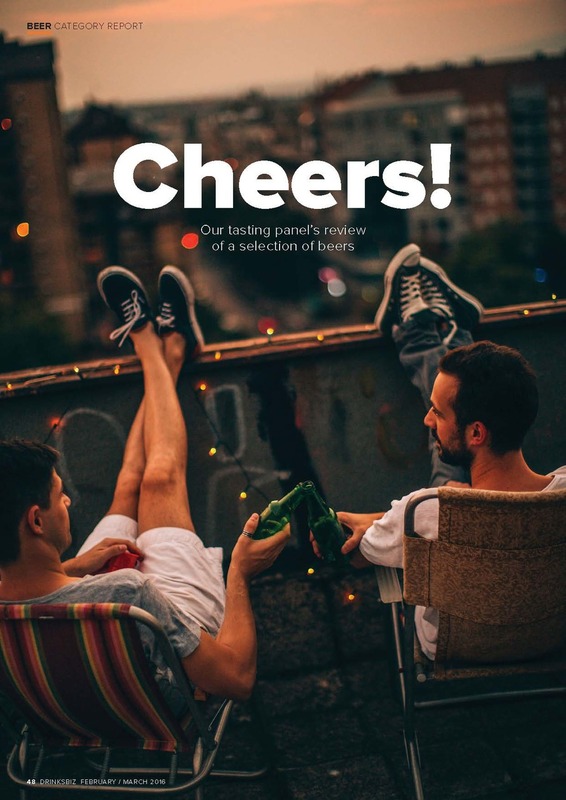 Taste, stock and learn about the newest in the New Zealand beer world from craft brews to hot news; small and large volume offerings and the latest seasonal beers for your liquor store, bar, cafe and restaurant.